The operation of large biometric deployments for the identification of individuals yields immense computational load: a biometric system in the identification mode needs to search the database exhaustively to make a decision to accept or reject the query, while in verification mode, it only has to compare the query with templates stored for the identity claimed by the user. Up-scaling the hardware quickly reaches certain limits like power consumption, hardware or overall costs. Therefore, the underlying systems software needs to implement efficient strategies to reduce its computational load. 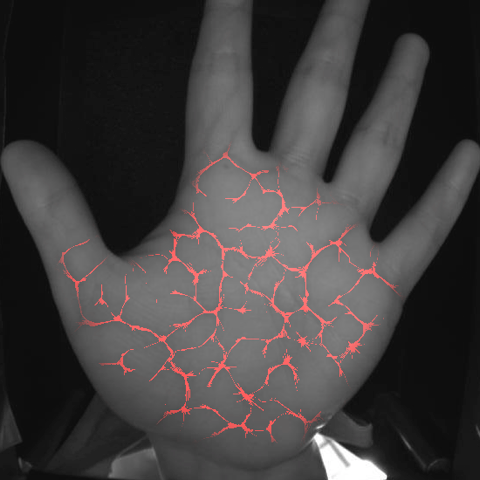 While several biometric modalities like the fingerprint and iris are already covered by workload reduction research, the (palm-) vein characteristic lacks such approaches. In this talk, we examine the palm vein as a biometric characteristic, outline different biometric image capturing methods, present a full-featured image processing pipeline and explore different indexing approaches to increase the efficiency of the system. Finally, we discuss discovered benefits and drawbacks; based on those, we present promising avenues of future research.